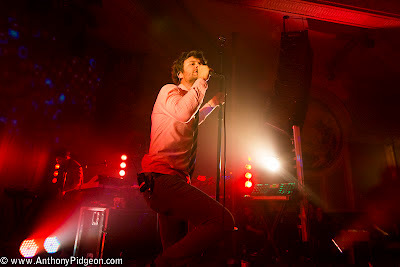 Passion Pit's Michael Angelakos at the Crystal Ballroom during MFNW 2012. Presale tickets are on sale now! Get the password on OMN. Less polished than the abutting Pearl, the West End maintains a bit of its viable grit as it experiences a rebirth of sorts. 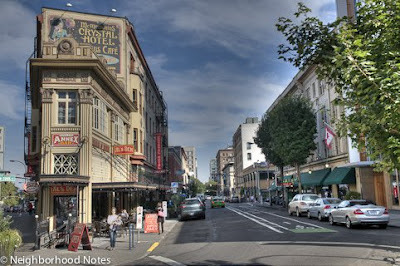 Representing the craft and culture that’s become the definition of Portland, the district is a den of fashionable boutiques containing handmade goods and art, where dining, drinking and dancing abounds at night, and a quiet corner, good book and mug of coffee awaits in the morning. Pull up a chair to sip your in-house roasted coffee from a locally made ceramic mug at Courier Coffee Roasters. And because you took a seat, you can also enjoy some of the shop’s baked goods, which are made from scratch on-site using as many locally sourced products as possible. Focused on the quality and sustainability of the products it sells, look beyond the selection of dresses, tops, pants and jackets at Radish Underground to the one-of-a-kind, hard-to-find accessories: Go for Rad Bad Lands jewelry (made locally with dinosaur bones and ancient fossils from Hell City, Mont. ), or Portland-made Martine leather satchels and Jonny Sport bags, a “man-tastic,” 100 percent vegan, basketball-textured accessory. Specializing in the little guys, geeks and independents of the publishing world, Reading Frenzy stocks a bounty of scarce small press and self-published books, art, local comics, graphic novels, and zines, like The D.I.Y. Guide To Drums by local musician Lisa Schonberg and a guide to edible weeds as well as one to help you discover Portland by bicycle. Amongst the array of handmade art, clothing and jewelry at Tender Loving Empire lies a record label. The DIY retail consignment store and screenprinting studio stocks indie releases on vinyl from Portland up-and-comers like Radiation City, Typhoon and Y La Bamba. Find six more things to do in West End, including more shopping, happy hour and live music, on Neighborhood Notes. 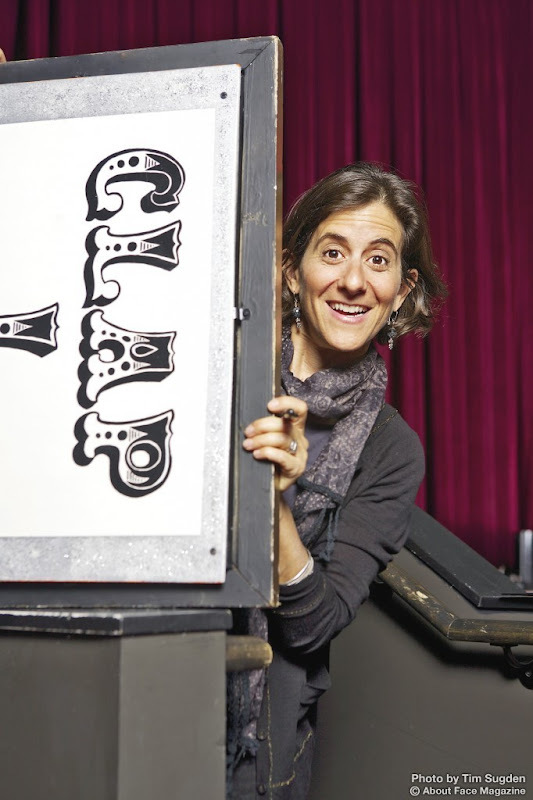 For more than two decades, Robyn Tenenbaum has been captivated by the spontaneous and unexpected moments that happen on the live stage, as well as the audience’s reaction to those sudden bursts of artistic expression, humor, theatrics, or improvisation. Whether promoting concerts or producing radio variety shows, one of Tenenbaum’s core principles is the idea that live entertainment should not just amuse people but also incite discovery. As the co-creator and executive producer of her own show, Live Wire! Radio, which airs weekly on OPB, Tenenbaum ambitiously translates this unique live experience to the airwaves. “It’s hard to put the words to the feeling you get—that sense of community you get when you come to a show, that sense of knowing you can get a lot of your culture in one night,” Tenenbaum relates. Hailing from San Francisco, Tenenbaum spent the '90s working for Bill Graham Presents, studying the way the storied impresario and concert promoter was able to arrange different acts together—whether it was rock with jazz or just an unlikely pairing—to expose audiences to new sights, sounds and schools of thought. “People would come for one act and would be exposed to another,” she says of the bills Graham used to book. Tenenbaum says the concept came together serendipitously in 2003 when mutual friends and random connections introduced her to Jim Brunberg, Live Wire!’s technical producer as well as the owner of Mississippi Studios, and Kate Sokoloff, the show’s other co-creator and “the driving force in the early days,” Tenenbaum says. Entering its ninth year, Live Wire! is looking to push more boundaries as well as revise and rejuvenate old routines in ways that will engage both the live and listening audiences. How often do you encounter people that just don’t understand what you’re doing? How do you explain the show to them? It seems that many people in Portland have either heard Live Wire! 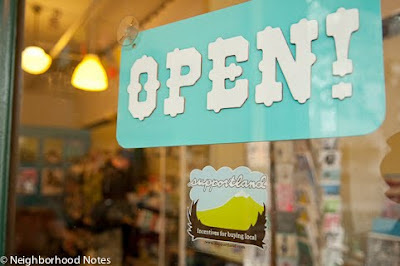 or heard of Live Wire!, because people in Portland love their OPB, and with great reason. It’s one night of great arts and culture. In one night, because we tape two shows back-to-back, an audience member will get exposed to two bands, two interviews with a filmmaker or author or thought leader, and essayists or storytellers or a piece from a local theater production. Plus, they will get some comedy from our talented cast as well as a few unexpected elements that we don’t even plan for—that’s the really fun stuff. All of this occurs at the Alberta Rose Theatre, which is a beautiful and intimate venue that’s a great place to spend an evening. We like to entertain people in a way that makes them think differently. We love when Live Wire! becomes the conversation around the water cooler the next day at the office, or when something sticks with someone enough that they want to share it with friends. Inevitably, people’s minds are opened to a new idea or band or something they didn’t know about before. That’s the best part. And because there’s so much variety, everybody takes home a different favorite part of the show. It’s all just a smorgasbord of great entertainment that’s provocative too. In your experience, how do you make a show that’s engaging for the live audience but also translates well to radio? That’s always the great challenge because the live audience is the only audience we can see, so we’re always tempted to make the show for the live audience, and yet, our radio audience is far bigger and far vaster. We’re constantly making sure that we’re not doing anything that alienates the listener or making the show feel too live—where people when they’re listening feel left out of a joke. We’ve definitely grown in this area throughout our experience. For me, the biggest thing is not forgetting the radio audience and to really make it sound like something that you can listen to if you’re driving in your car or hanging out in your kitchen, because it’s just a really entertaining show and because things change up every five to seven minutes, in a true variety show format. You get that opportunity, both as a live watcher and a radio listener, to stick with it or leave the room and come back and get a restart button for the next segment. So, hopefully we’re achieving that, but that’s something that we’re always trying to hone. You have to use your live audience to make the best radio show you can make. Because we’ve had so many people who are theater-oriented within our organization, it’s been really important to us to make a very polished live show. We’re charged by every live show because they’re so much fun to make and they’re so much fun to be at. I always feel blessed and I get a front row seat for all of this amazing entertainment and wonderful talent. So, it’s fun to be able to see and be here, but again, that’s 1 percent of our audience, compared to the listening audience. What are the most exciting shows for you? The most exciting shows are shows that strike that perfect combination of funny, informative, great music, and totally entertaining. We love incorporating our guests in sketches or in something off the wall. Is there a conscious consideration to try and maintain a balance of local and nonlocal names on the show? Yes and no. We cast our net wide, to local and national. We’ve got great, great relationships with publicists in New York for authors, and we have wonderful relationships with the arts communities here in town, so we’re always keeping an eye on what theater company is opening when and what’s happening. It’s kind of a combination of us putting our feelers out, and people calling us. There’s so much talent right here in Portland, and we’ve always tapped into that. But what happens in the green room backstage at shows is one of my favorite, most remarkable things because there are so many different relationships and collaborations that are starting to brew backstage at a Live Wire! show. There have been quite a few things that have come from that, and it has just been people who meet people who share the same stage. It’s all sort of a conscious decision. Like I said, there’s so much talent—there’s so much literary talent right here, there’s so much musical talent here—that it’s a great place to focus on. What kind of exposure are you getting on the radio as well as through other outlets, like online? We are currently heard throughout the entire state of Oregon through OPB, and in Southern Oregon and Northern California via Jefferson Public Radio. Within the public radio system, we have garnered the attention of a few key people. This is important to us as we continue to distribute our show independently. Ideally, we would like to take on a marketing partner who can help us get heard by more station program directors. In the meantime, we will continue to grow through our current channels and by coming up with new ideas to be heard. Social media has been a powerful tool for us as well. We are building our audience by splicing up the show into small segments so new audiences can get a taste of the show before committing to a full 59 minutes. Are you finding that the rest of the nation outside of Oregon is interested in Live Wire!? Are people seeking it out? Yes. I mean, it’s a big nation so we have a lot of territory to cover, and we’re one of very, very few shows that is an independent production. There are all these other shows in the system, and many of them are backed by NPR or PRI or American Public Media, but we’re really an independent production and always have been. It’s a bit of a challenge, yet certainly not impossible, and we’ve certainly made a name for ourselves across the country by being around so long and by doing what we do. We’ve been told that we’re the best of all the live variety stage productions out there. So that’s flattering to hear. Does being completely independent give you some advantages or freedom? Certainly. We still have to stick and want to stick within the FCC guidelines and regulations, and we don’t try and push the boundaries… well, we try [laughs]. We do try and push the boundaries, but not in any way that would get anybody into trouble… we hope. If NPR or PRI called us up tomorrow and wanted to help us distribute our show, that wouldn’t be a bad thing. We’re open to all the possibilities of where Live Wire! can go, and our main goal is we want more ears to hear us. We want to be sustainable. We are a nonprofit and not many people realize that. We feel like we’ve always been the show from Portland, but not about Portland. We feel the spotlight has been on this town and this state nationally so much in the past few years that broadcasting a show from Oregon feels like it could be, and is, and should be, appealing to the rest of the country—because it’s not like we’re this provincial show—we’re not focusing on Portland so much as we are focusing on the voice of Oregon, Portland and the Northwest. We’ve had some good successes with it, and we hope to get out further in the world. We love what we do so much we want to be able to continue doing it. As you look to update, allowing the show to evolve over time, what sort of values does Live Wire! adhere to? We always want to be fresh, we always want to be engaging, we always want to stay relevant, we always want to have a sense of whimsy, we want to be provocative—these are the value words we talk about. When we book authors or write sketches or design the show, it’s important that it fits some or all of these descriptions: authentic, smart, provocative, innovative, fresh, quality, whimsical, informative, entertaining. How might the show look and sound a little different this upcoming season? As we do every summer, we take a look back at every aspect of our show and we ask ourselves what’s working and what can work better. Sometimes we get so used to doing something that it becomes routine and we don’t think to change it. This annual sit-down forces us to take the time to focus on the show as a whole, to pay attention to the little things and the big things, and it gives us the opportunity to freshen things up. Our hope is that it ultimately takes the show to a new level. One of our main objectives right now is to continue to build our podcast audience and our radio listenership in other states. With this in mind, we try to listen to our shows with new listener ears. We are experimenting this fall rather than making sweeping changes. This season in particular, we are going to change the way we open the show. Tune in or come to a live show to see or hear how we’ll execute it! We plan to incorporate a new segment dedicated to food and food culture here in the Northwest and beyond. It’s such an important part of who we are and how we build communities that we would like to highlight this for the rest of the country. It’s something everyone can relate to. We have a segment in most of our shows that involves the audience. This season we are going to try out a few different ideas to see what works for the show and what inspires the audience. Perhaps a “Dear Live Wire!” segment, where our audience can ask us anything, or a segment called “Badvice.” We thought about a segment called “Things you probably can’t say on public radio,” which may be funny. Until it’s not. Again, stay tuned. You can catch bi-weekly Live Wire! performances at Alberta Rose Theatre from now through December, or the radio broadcast every Saturday night on OPB at 7pm. Please visit livewireradio.org for more information on upcoming show lineups and ticketing as well as on-air schedules. Read this interview in About Face Magazine. The Hugs that recorded Dirty Gems; Danny Delegato at right. Young as they might be in age, The Hugs have seen some ups and downs in their days. Led by the only constant, Danny Delegato, since 2007, the Portland-based garage pop rock band has seen members come and go over the years. Their early days saw them signed to Columbia UK/1965 Records in London and touring Europe, England and the States, opening for bands like The Kooks, The Brian Jonestown Massacre, The Dandy Warhols, The Walkmen, and The Cribs—many of which the group has been compared to. Releasing records in 2007 and 2009, Delegato says those "first two LPs were heavy, power-pop type songs—wearing our age on our sleeve. Time changes things and I think I've learned a lot." The original band quit after the label dropped the band. Delegato stuck with it, just like he always has since forming The Hugs as a 17 year old in high school. "It's been a long ride so far," Delegato says. "I decided to do this band no matter what happens. Most people would have just given up. But why would I end or break up The Hugs?" The latest album, Dirty Gems, came out this past summer, featuring a new lineup—Delegato (lead vocals, guitar), Patrick Wilcox (guitar, vocals), Mitch Wilson (drums), Davey Appaloosa (bass)—and sound. "Musically, we have gotten more edgier and rock 'n' roll on Dirty Gems," Delegato describes, yet the content of the songs seems to highlight a carefree immaturity with breezy songs about love and girls and drinking as well as "Sunshine And Cigarettes." The second single, "American Lie," has a roaring Dandys vibe while the poppy, catchy call outs on opener "Reykjavik" and "Dot Dot" recall a Brit-rock sound that was undoubtedly influential during Delegato's early years with The Hugs. "We made Dirty Gems as sorta a dual songwriting album—with me and Patrick doing most of the writing. We basically collaborated to make Dirty Gems and helped each other finish songs one by one until we had a great album worth of songs," Delegato explains. Now, the band's lineup has once again changed since the release of its third full-length. All 22 to 23 years old, Delegato and Appaloosa (guitar) remain, currently alongside Skylar Weaver (drums) and Michael Sterling (bass). Wilson and Wilcox left to focus on other projects but Dirty Gems remains as a "carefully crafted" album "and we are very proud of it. It was just time to move on," Delegato says. "I'm all about making albums and playing shows for the people," Delegato says. "It's all about the music The Hugs leave behind in my opinion." And as Delegato has moved on with a new configuration of The Hugs, he's also revealed a more intimate side of his songwriting on nine SE Portland basement-recorded tracks, self released under the name Lovesick. OMN caught up with an active Delegato about his two latest releases. Dirty Gems was your third album but your first since 2009. What happened in the years between those records? We did an album in London at the end of 2008 for Columbia Records UK/1965, and following the delivery of the album, the label's funding was taken and that little indie in London (1965 Records) folded completely in January 2009. We decided not to release the album we did with Liam Watson (The White Stripes) in London for the recording company, and we went back to Portland and did our second LP, titled Again & Again, and self released. Also, three members left the group: Kelly McKenzie, Nicholas LoCascio and Brendan Welch. I reformed the band to make the album Dirty Gems and I wrote the songs in 2010-11 with Davey Appaloosa and Patrick Wilcox. We've been touring a lot on the West Coast and building our fan base one fan at a time. It was a gap between records, but we didn't want to just throw something out there that we didn't work super hard towards. It's a polished album and we wanted it to sound like that. So, that takes time. We really delved into structures, lyrics, song delivery, riffs, etc. We focused on the small things. I think we grew up in the years between those old records. Getting customers through your doors in today’s marketplace is really tough. The business landscape is competitive, the economy is uncertain, and people are really picky about where they spend their money. If trying to figure out how to make your small business stand out online is stressing you out, you’re not alone. One of the most effective ways to build trust, rank in local search, and generate the word-of-mouth marketing crucial to your success is to get real, genuine reviews of your business. Besides just trusting in what others say online, 70 percent of Americans also say they look at product reviews before making a purchase, according to author Jim Lecinski in Winning The Zero Moment of Truth. So, how do you get consumer reviews? It’s easier than you think. You just need to be proactive. Your contact details don’t say much about your business. Add as much real, relevant information about your business as possible to your profile on review sites: recent photos, up-to-date information about the owners and staff, your hours, menu, products, and any information that will help consumers write better reviews and/or help your business stand out when people are searching for businesses in your category. 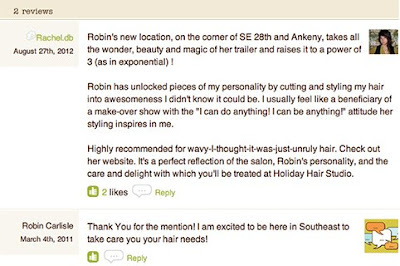 Get more advice on how to encourage reviews on Neighborhood Notes. When Hot Chip arrive in Portland on Thursday, September 13th, the London seven-piece will have just headlined the Hollywood Bowl—an amphitheater with a capacity of some 18,000—with Passion Pit. 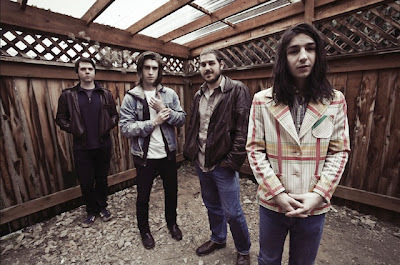 But it's not their first time taking that grand LA stage—they co-headlined it a pair of years ago with LCD Soundsystem. 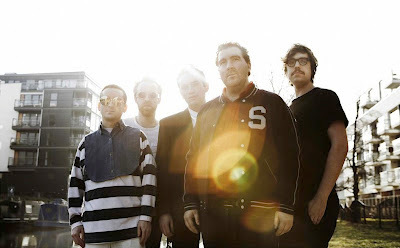 More than a decade in the making, Hot Chip multi-instrumentalist Owen Clarke is humble when he says, "We've been lucky in that we've been able to build up to this, and we feel really happy with where we are right now." Recognizing the hard work they've put in over the years, Clarke recalls the "good education" that all the early years of support tours provided, giving the act a chance to "hit our stride" and "make our live mistakes on the small stage." That slow build up is also perfected musically on the band's fifth and latest record In Our Heads with tracks like "Motion Sickness," "Flutes" and "Ends Of The Earth" where instrumental minutes pass and layer upon layer of percussion is meticulously, but flawlessly, balanced atop synth flourishes until the communal vocals of Alexis Taylor and Joe Goddard kick in, offering yet another indelibly repetitive layer that revolves around the implausibly danceable core. "We've always occupied a space between the dance floor and the home, and we always try and make records that work in both places—[ones that] sound good on headphones or sound good on great, big sound systems," explains Clarke who plays guitar, bass, synths, and percussion with Hot Chip (and claims to be the best dancer in the band—but more on that later). While the band may pay close attention to all the little details, they didn't necessarily set out with the aim of making a dance floor record with In Our Heads. "We try making a synthesis of different things we enjoy," Clarke says, and that fusion has produced a happy record—one that's upbeat, joyous and alive, as well as romantic and constantly seeking unabashed human connection—possibly the thoughts In Our Heads that we rarely express without inhibition. And being romantically inclined, tension is also expressed, although always under the guise of danceable pop music (and sometimes alongside a few geeky samples). “Roughly 30 percent of all searches have a local intent,” says John McPhee, the vice president of Formic Media, a Portland firm that specializes in search and social media for small businesses. Word-of-mouth marketing has long been considered the most effective form of promotion and “the leading influencing factor in how consumers select a business to patronize,” says Formic Media founder and President Kent Lewis. Ask yourself: Are you more likely to trust what a business trying to sell you something says, or someone you know who has interacted with that business, product or service? The answer is obvious. Yet, in today’s online world, it doesn’t even matter if you know that person—the individual providing advice—anymore. The reviewer can be completely anonymous. As a small business owner, getting reviews isn't just in your best interest, it's crucial to your business' success. Find out two more reasons why you should get in the review game on Neighborhood Notes.